On approximately 1878m of land, ultra-private grounds provide a resort lifestyle in this prestigious home. Undeniably one of Abbotsford's most spectacular properties, this is the epitome of family excellence. Boasting substantial proportions with sweeping waterviews from every room. 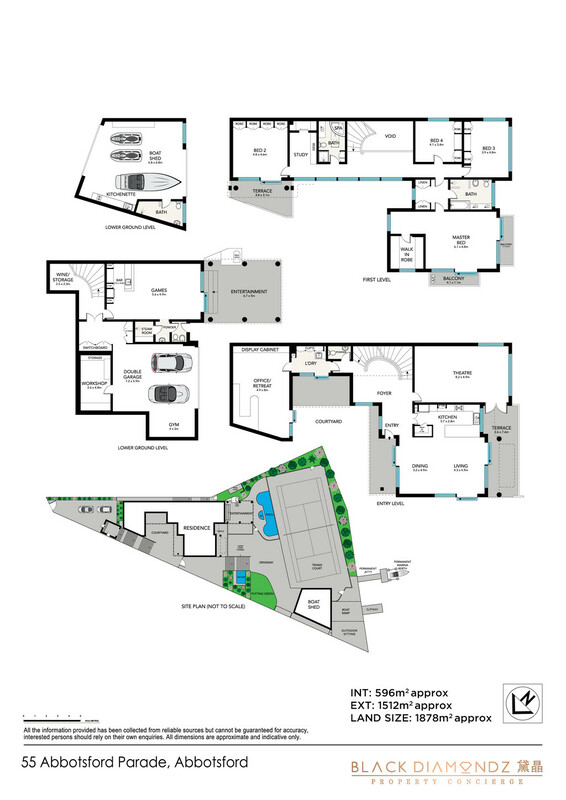 This prestige home showcases a light filled three storey layout. Spacious outdoor areas that go together to provide an entertainers paradise. Positioned in a premium reserve side location. Facilities include deep water Permanent Marina Berth jetty, pontoon, slipway and boatshed on 53.3 metres of waterfront. Flowing interiors with formal and informal living and entertaining areas. Upper-level bedrooms include King size master with walk-in and ensuite spa. Home office, theatre room, steam room, infared sauna plus a second study area. Swimming pool, outdoor spa, full size tennis court and custom putting green. Downstairs games room, wine storage and commercial grade wet bar. Double lock up garage with additional parking. Workshop with storage, air-conditioning throughout and video intercom. Adjacent to Quarantine Reserve with convenient private driveway access to the water's edge. Ideally located within short walking distance to Abbotsford Ferry Wharf Rivercat (15 minutes to CBD), Sydney Rowing Club, local boutique shopping districts, cafes, restaurants and schools.